A Tactical Pen is an excellent self defense tool for someone who cannot carry a blade or a firearm during their daily routine. It’s also an excellent gift for wives & loved ones. It does require some training to be used effectively. 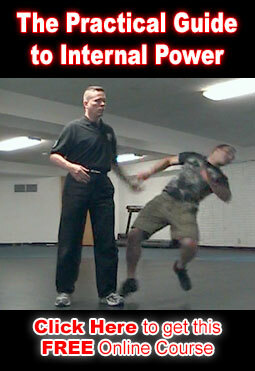 Our Tactical Pen DVD features A Quick, Direct and Effective self defense method that can be learned and used quickly and easily. How does your Tactical Pen compare to the Tuff Writer or The Bench Made. My curiosity stems from the vast price difference in these products. Our pen is an actual writing pen. Many “Tactical” Pens are made to look vicious and mean While this may be a good marketing strategy it can make it difficult to carry them through airport security. Sifu Clear has carried several of our pens through airport security with no trouble at all. The non-writing end of our pen is very flat and wide. This is VERY important for generating power. You need this feature to brace your thumb or the palm of your hand against so you can deliver power without damaging your hand. Our pen does Not have a cap. Many “High end” tactical pens are pointed on both ends so once you lose the cap the pen is worthless as a self defense weapon. I can never keep track of pen caps and I can’t afford to replace an $80 or even $40 pen every time I lose the cap. All of the High End Tactical pens will be strong and durable, and our pen is no exception. While filming this DVD we (and the folks at the workshop) broke a bunch of 1 inch pine boards using about 40 of our pens. All of the pens held their shape and would still write afterwards except one. The one pen that had a problem was cracked at the very tip and though it would not write afterwards it would continue to work just fine for the duration of an altercation. If your pen does break or you have a problem with it Please let us know right away.